Home > Blog > Flashpoints > Too Much Treatment? It’s been repeated to many people with diabetes for years: an HbA1c level (a measure of long-term blood glucose control) below 7% is good, while a higher HbA1c level is bad. This advice may be good for many people — after all, it’s based on studies showing that tight glucose control sharply reduces the risk of long-term diabetes complications. But as a new study shows, applying this advice to everyone with diabetes — particularly those who are older or in poor health — may be a bad idea. 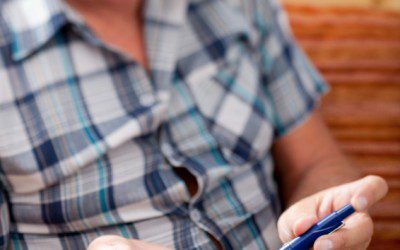 The study, published last week by the journal JAMA Internal Medicine, didn’t look directly at the effects of tight glucose control in older, sicker people with diabetes. Instead, it relied on other studies (including one from last year by the same lead author) for proof that older, sicker patients are more likely to experience hospital admissions — and a shorter life expectancy — when their diabetes is treated aggressively. Instead, the new study sought to find out whether older and sicker people with diabetes are given more leeway in their blood glucose levels, or whether doctors are treating them the same way they treat younger, healthier people with diabetes. As described in a MedPage Today article on the study, the researchers collected data on 1,288 people with diabetes ages 65 and older from the years 2001–2010. Based on participants’ overall health profile, the researchers categorized each one as mostly healthy; in intermediate health; or in poor health, with a limited life expectancy. In the current US population, each of these groups is believed to be quite large: 3.1 million people with diabetes ages 65 or older can be classified as in mostly good health, 1.7 million are in intermediate health, and 1.3 million are in poor health. The researchers found almost no difference, however, in how aggressively blood glucose was controlled between the groups. In each one, about 60% of people had an HbA1c level below 7%. Given the poorer health of two of the groups, it is very unlikely that they were achieving this blood glucose control through lifestyle measures like diet and exercise — instead, aggressive treatment with oral drugs or insulin is most likely how tight blood glucose control was achieved. The consequences of aggressive diabetes treatment in older, sicker people are difficult to ignore. According to the study from last year by the same lead author, 404,000 people over the age of 77 were admitted to a hospital because of dangerously low blood glucose between 1999 and 2011. Out of this group, 20,000 people — about 5% — died within 30 days of this hospital admission. Diabetes drugs are believed to contribute to about 25% of all emergency hospitalizations of older Americans. What’s your view on aggressive diabetes treatment — are you currently working to maintain an HbA1c level below 7%, or even lower? Has your health-care provider explained why a particular HbA1c goal is right for you? Have you experienced hypoglycemia (low blood glucose) as a result of your diabetes treatment? Would prefer to have a slightly higher risk of long-term complications in exchange for a lower immediate risk of hypoglycemia, or vice versa? Leave a comment below!